The Minicom Digital Signage by Kramer VDS-RL is a long range CAT5 remote video receiver which is a part of the Minicom DS Video Display System. The VDS is the quickest, most efficient way to move multimedia content from player to multiple displays. 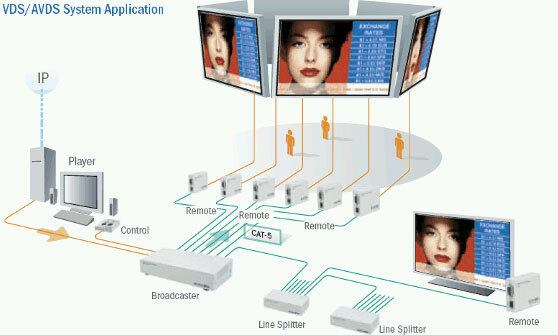 A one-to-many, point-to-multi-point system for transmission of high quality video (VDS) or audio and video (AVDS), the system distributes rich multimedia content in real-time from any type of player to multiple display devices.